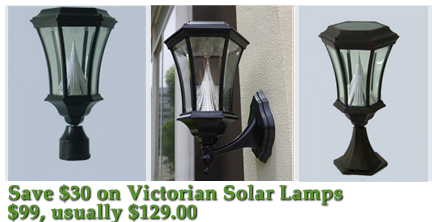 The Weston Solar Lamp with Motion Sensor is also on sale through June 30: again, save $30 and get one for $99.00 with free shipping! 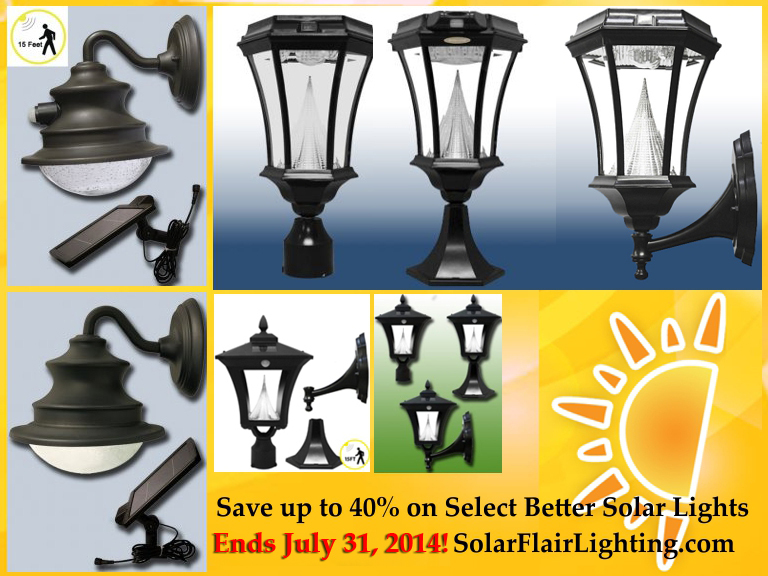 See all of our sale items and our video on why we like these solar lamps so much at SolarFlairLighting.com. This entry was posted in Online Shopping Tips, What's New and tagged outdoor solar lights, save on great outdoor solar lights, solar lamps, solar lighting by SolarLightingSmart. Bookmark the permalink.